“Wake up children before you miss the Statue of Liberty. We will be passing her by in just 10 minutes,” said Grandma Maureen. Arthur J, Annie and Kathy, rubbed their eyes trying to wake up fast and ran to the balcony . Off ahead they saw the Statue of Liberty just as she looked in pictures. “Let’s take a picture for show and tell in school,” said Kathy. ” Good idea, ” said Grandma Maureen as she ran for her camera. They all stood in awe of the statue as they passed in front of her. “Can any of you tell me who gave us the Statue of Liberty,” asked grandma. Arthur J, Annie and Kathy all thought for a minute. Then Annie said, “If Orrie was here, he’d know the answer.” Grandma Maureen laughed and said, “You are right. He would know, but he isn’t here so I will tell you. 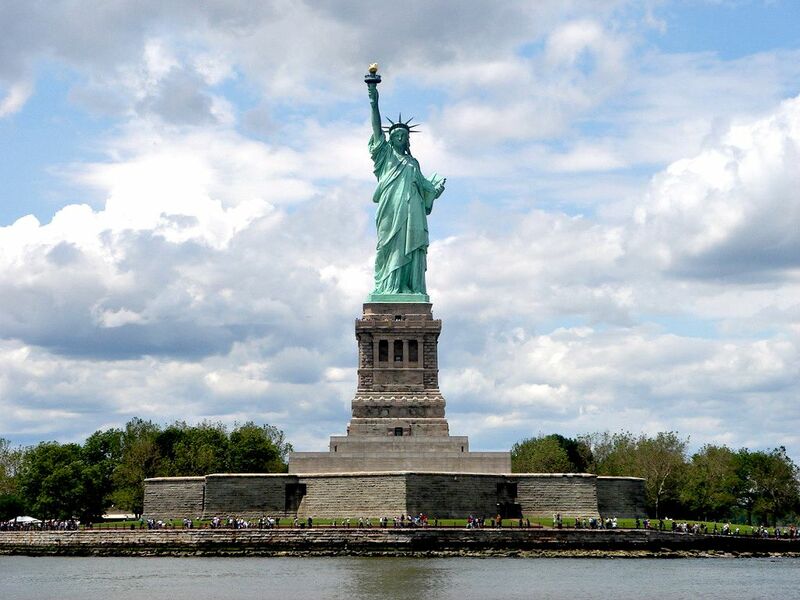 The Statue of Liberty is a gift from France. They gave it to us in friendship to welcome immigrants and visitors to America when they come through New York Harbor. Once they past the statue they all returned to their room, looking a bit sad. Soon they would dock in New York harbor. “I wish the trip wasn’t over,” said Kathy. Arthur J added, “I will miss the friends I made in cruise camp.” Annie looked at both of them and said, “Hey, we had a great time didn’t we”? Just before they got ready to leave the ship Arthur J, Kathy and Annie each gave grandma a big hug and thanked her for a wonderful trip. Soon they were on the bus heading towards the airport and the plane that would take them home to “Can Do” Street.